Aiming to increase brand recognition among customers, Talk Internet approached Parker Design to develop a bespoke logo and B2B brand strategy. 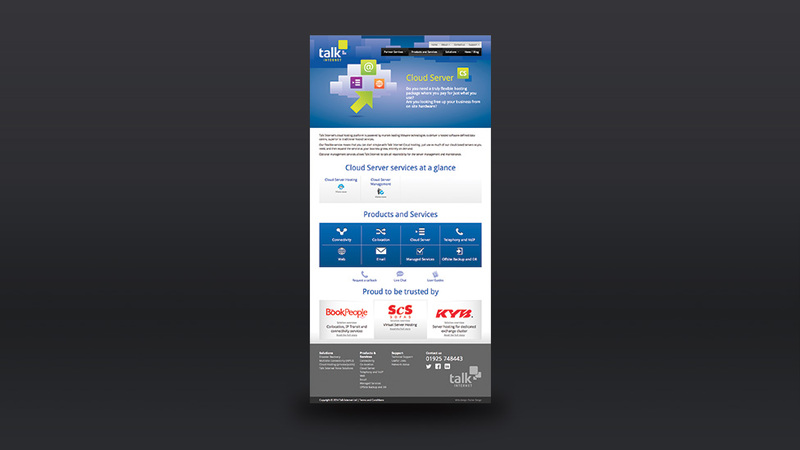 With more than half of all UK businesses using some form of cloud computing – and adoption rates continuing to climb – we helped the company establish its brand identity and capture a larger share of the lucrative B2B cloud services market. Our team found that the rising demand for cloud-based business solutions had created a highly competitive environment for UK software as a service (SaaS) and infrastructure as a service (IaaS) providers. 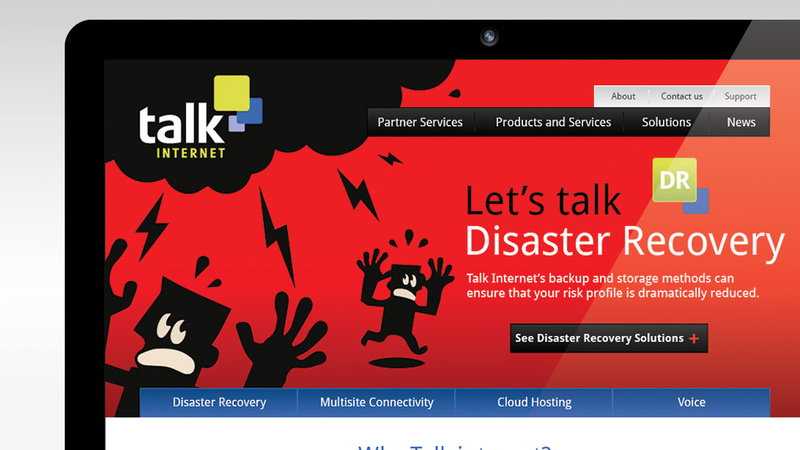 Although Talk Internet offered a solid range of affordable B2B services, it had little brand recognition among potential customers. In addition, the company lacked a user-friendly web presence to support its sales team or provide key information to interested businesses. This caused companies to miss out on opportunities, despite the quality of its customer service and product offering. To increase recognition of the brand, our creative team developed a range of logo concepts for the client that was corporate and professional, but also retained a customer-friendly feel. The B2B brand strategy dictated that Talk Internet’s identity should convey energy, as well as strength and reliability, to differentiate it from other companies. In addition, the company wanted to communicate a focus on service excellence, so ensuring the design was engaging and personable was key. The final logo design met all of these criteria. With a clean look and bold colours, our creative team helped establish a brand that B2B customers would recognise and identify with as a company they could trust. 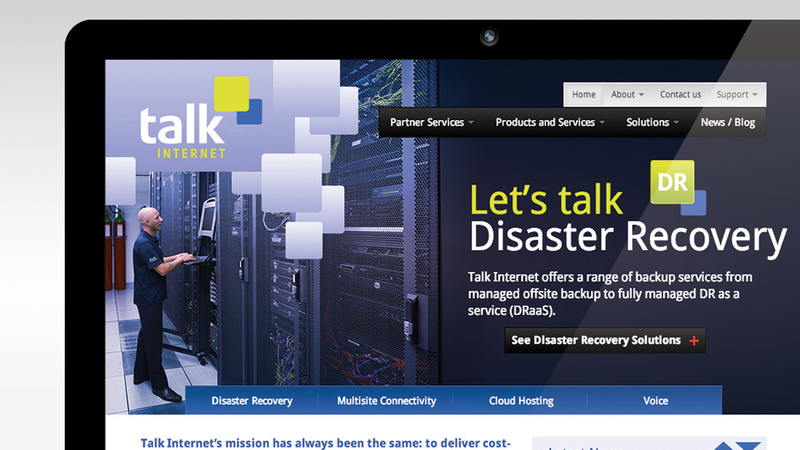 The shades of blue and green selected also provided Talk Internet with the flexibility to roll out their brand design in a variety of ways. To extend this corporate, and yet customer-friendly feel online, we designed and developed a clean website for the client with the same bold colour palette. Our digital team also paid careful attention to the site’s typography, and how the data tables were styled, to ensure that all product information was displayed in an uncluttered way. As part of the overall B2B brand strategy, Parker Design felt that it was important to deliver a corporate identity that was engaging and visually appealing, but also supported by a website that helped push the company’s value propositions. Our digital and creative teams put significant thought into the organisation and layout of the business-to-business website, mixing photography with icon-based illustrations and strong typography in the hero banners to portray the company’s key product messages and calls to action. The company’s previous website lacked the functionality its internal team needed to update it efficiently made it difficult for customers to locate key information. However, in just a few weeks, Parker Design created a B2B brand strategy that was effective, helped boost the company’s recognition in its target market and provided an online resource with content and promotions tools that were flexible and easy for the client to operate and maintain itself. The client was pleased with the elements of its B2B brand strategy and employees, customers and business partners established a connection with the company’s new look and feel. 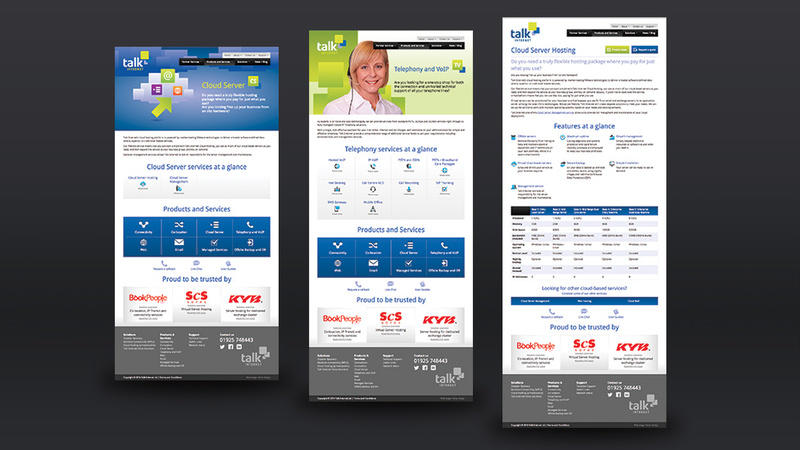 Our solutions helped Talk Internet increase market share and we continued to implement the brand design into a variety of materials, including stationery and internal documents.